Doral’s legendary golf resort was instantly iconic when it opened in the 1960s, frequented by celebrities and moguls of the game. 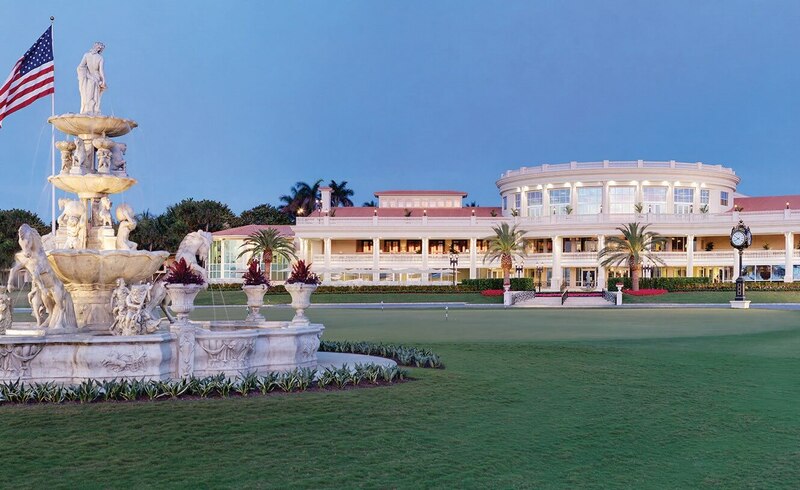 More than 50 years later, Trump National Doral Miami offers a new generation of style, service, and exclusivity infused with the Trump standard of excellence. Tee it up on any of the four championship golf courses, including the legendary Blue Monster, or embark on a rejuvenating journey at the luxurious 48,000 sq. ft. spa. The prestigious 800-acre resort features villa-style accommodations, exclusive Spa suites, brand new Har-Tru tennis courts, our Royal Palm Pool with 18 private cabanas and a 125-foot slide. COMPLIMENTARY REPLAYS & REDUCED SURCHARGE. Book by March 31, 2019! *USD$ p.p. Airfare, car rental, surcharge for Blue Monster, caddie fee, gratuity, are not included. Based upon double occupancy. Other room types available. Based upon availability. Championship golf, a world-class spa, tennis centre and great dining choices await you at the Saddlebrook Resort & Spa.